Is the Canada Hill, Esterillos Oeste neighborhood right for you? Canada Hill is a sought after neighborhood in Esterillos Oeste featuring panoramic views of the beach, surf and coastline. 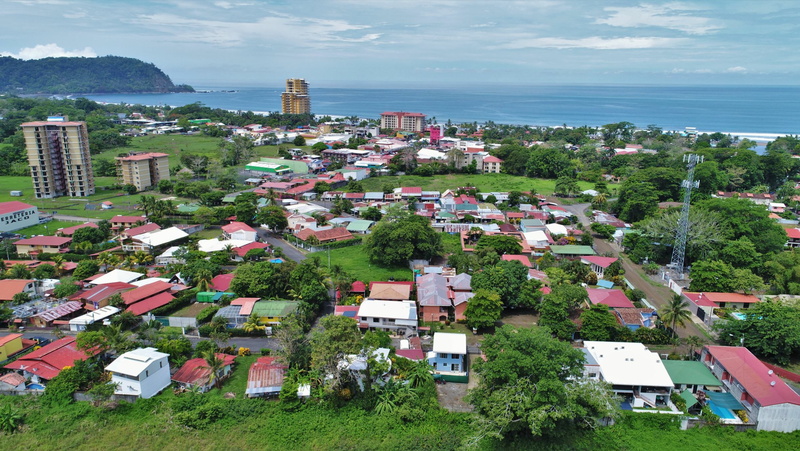 It overlooks the village of Esterillos Oeste with views all the way to Manuel Antonio. Most properties have title, not concession and are just a short walk to the beach. The Canada Hill neighborhood is populated mostly by a friendly community of North Americans and Canadians. Behind the community is primary forest which brings a variety of wildlife and tropical birds including scarlet macaws, toucans, monkeys and sloths. The beach to the west has miles of untouched natural forest and is a popular place for sunset walks and surfing.